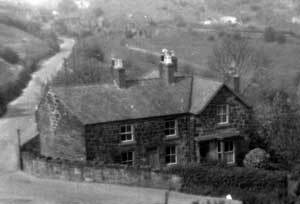 Price Isaac Parry, the eldest child of Edwin, a miner, and Ellen, was born on 26 June 1865 and brought up in Moss, Broughton, near Wrexham. 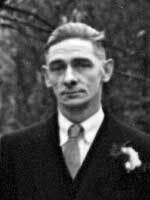 He worked as a colliery engineer and rope splicer. 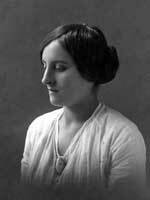 Phoebe Davies, daughter of John, a builder and joiner, and Mary, was born on 12 January 1868 and lived at Moss. Price and Phoebe married in Wrexham Register Office on 14 December 1887. They lived in one of three cottages owned by Phoebe’s parents in Westminster Road, Moss. This apparently caused some resentment in the Davies family where it was thought that Phoebe had married beneath herself. In 1891 Price, Phoebe and Horace were living at Moss and Price was shown as a stationary engine driver. In 1901 he was a colliery engine driver and with him at 56 Westminster Road were Phoebe and all the children except Hilda, who was next door at number 57 with Phoebe’s mother, Mary Davies, and sister, Frances. When Belinda was born in 1908 their address was given as number 55 and Price was shown as a colliery fitter. In 1911 Price and Phoebe were at 55 Westminster Road with Horace, Llew, John, Mary and Belinda. 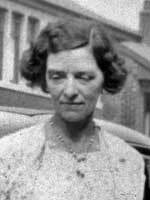 Three more of their children; Gertrude, Ethel and Eleanor were at 57 with Phoebe’s mother, Mary Davies. Number 56 was let to Albert Miller and his family. Their other daughter, Hilda was working as a milliner’s assistant in Tattenhall, near Chester. Price died on 3 September 1941, aged 76, and was buried at Moss. In his will he left everything to his wife and after her death to be divided between his children John and Ethel. 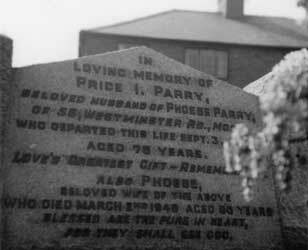 Phoebe died on 2 March 1949, aged 80, and was also buried at Moss. They may both have been buried at the Brake Chapel burial ground, but the ground has now been cleared of almost all the headstones and the chapel itself was being demolished in 2009. A more recent headstone, in St Paul's churchyard, commemorates Price and Phoebe as well as their son John who died in 1977. 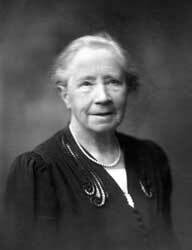 Horace became a teacher and in 1919 he married Grace Elizabeth Hope from Oakengates in Shropshire. 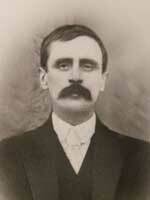 He was a Methodist lay preacher and large numbers of Methodists attended his funeral. Horace and Grace had no children. 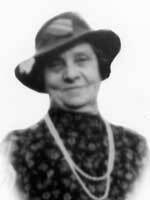 Hilda trained as a milliner and worked for Bateman's in Chester ca. 1910. In 1914 she married Thomas Owen Maddocks (1882? - 1967) from Whitchurch, who was a garage owner and ran a bus company. Hilda died of a stroke in 1958. 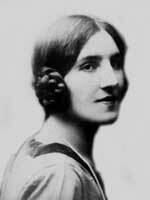 Their only child, Gwendoline Mary Maddocks , was born in Milton Green, Cheshire, in 1926 and went to Aberystwyth University where she met her husband, Howard Stuart Gardner, born in 1928 and the son of a senior bank official. Gwen became a teacher and Howard an industrial chemist and they live in Didsbury Park, Manchester. They have a daughter, Janice Gwendoline born in 1954, who trained as a teacher and is a keen musician. They also adopted a son, Andrew Howard, who was born in 1957. Gertrude was a milliner, died on 25 February 1915 aged 21 and was buried at Moss. 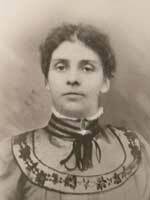 Ethel was a milliner or a secretary but never married. 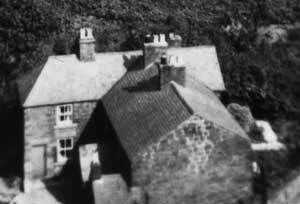 She lived at 56 Westminster Road until she died on 6 September 1969. She was buried at Moss. Eleanor, known as Nell, died on 7 May 1918 aged 21 and was buried at Moss. Llewelyn became a pharmacist. He married Clara Shaw in 1929 and they ran a shop in Linacre Road, Bootle. During the week they lived in one room at the back and at weekends went to 57 Westminster Road, Moss, to stay with his aunt Frances. All around the shop suffered bomb damage during World War II. Llew and Clara had no children. 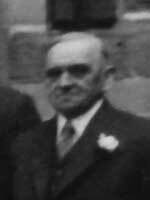 Llew died on 31 March 1967, aged 69, and was buried at Moss. John trained as a pharmacist, but later became a builder. In later life he lived at 57 Westminster Road, Moss, and collected all sorts of things at auctions. The barn was full of gas cookers, metal window frames, blowlamps, valve radios etc. John never married and lived a fairly reclusive life; no photographs of him are known to exist. He eventually became the owner of all three cottages. He died on 7 May 1977 and was buried at the parish church of Broughton, St Paul. The cottages were sold and have since been converted into a single residence and modernised. Mary married George Peters, a pharmacist. They had a shop in Buckley Junction and later a very modern shop (one of the first with a self selection area) in King Street, Wrexham. 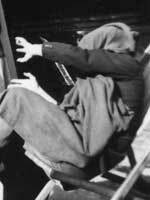 George was born on 23 March 1905 and his parents were William Rhodes Peters and Jane Ackerley. George and Mary had no children. George died in 1994 and Mary in 1999. Belinda went to Brynteg school in Moss, trained as a teacher in Bangor and taught infants. 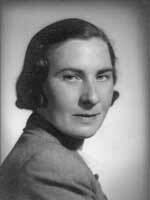 In 1946 she married George Eric Newns and had a daughter, Valerie Hilda, in Liverpool in 1949.